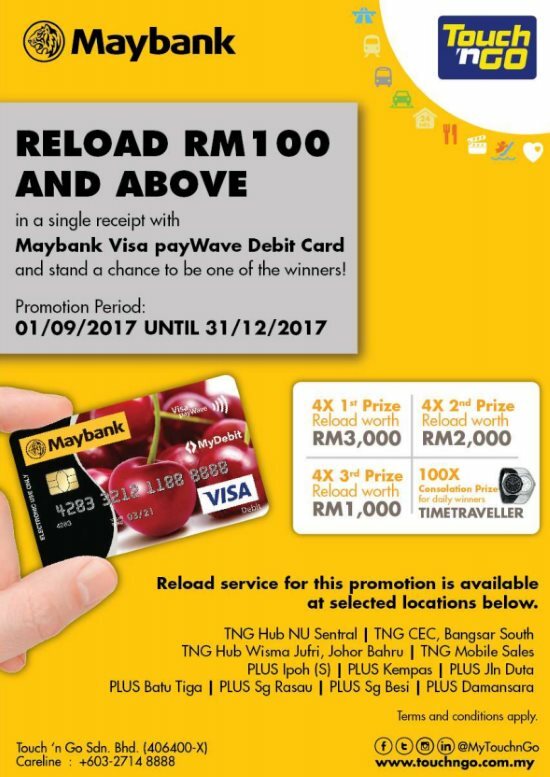 Home » lucky » lucky draw » Maybank » offline contest » purchase » spend » Touch n Go » Maybank Visa payWave Debit Card: Reload your Touch N' Go Card and win up to RM3,000 reload value! Maybank Visa payWave Debit Card: Reload your Touch N' Go Card and win up to RM3,000 reload value! Reload RM100.00 and above in a single receipt, and the reload payment must be made via Maybank Visa Debit - Paywave card only. Visit Maybank Visa payWave Debit Card contest terms & conditions for more details.